In epithelial-derived cancers, altered regulation of cell–cell adhesion facilitates the disruption of tissue cohesion that is central to the progression to malignant disease. Although numerous intercellular adhesion molecules participate in epithelial adhesion, the immunoglobulin superfamily (IgSF) member activated leukocyte cell adhesion molecule (ALCAM), has emerged from multiple independent studies as a central contributor to tumor progression. ALCAM is an archetypal member of the IgSF with conventional organization of five Ig-like domains involved in homo- and heterotypic adhesions. Like many IgSF members, ALCAM is broadly expressed and involved in cellular adhesion across many cellular processes. While the redundancy of intercellular adhesion molecules (CAMs) could diminish the impact of any single CAM, consistent correlation between ALCAM expression and patient outcome for multiple cancers underscores its role in tumor progression. Unlike most oncogenes and tumor suppressors, ALCAM is neither mutated nor amplified or deleted. Experimental disruption of ALCAM-mediated adhesions implies that this IgSF member contributes to tumor progression through dynamic turnover of the protein at the cell surface. Since ALCAM is not frequently altered at the gene level, it appears to promote malignant behavior through regulation of its availability rather than its specific activity. These observations help explain its heterogeneous expression within malignant disease and the drastic changes in protein levels across tumor progression. To reveal how ALCAM contributes to tumor progression, we review regulation of its gene expression, alternative splicing, targeted proteolysis, binding partners, and surface shedding within the context of cancer. 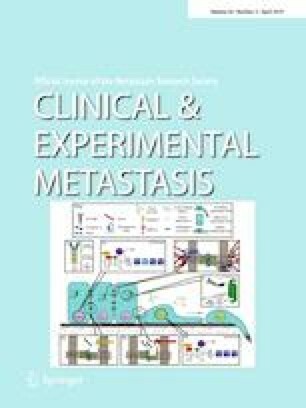 Studying ALCAM regulation has led to a novel understanding of the fine-tuning of cell adhesive state through the utilization of otherwise normal regulatory processes, which thereby enable tumor cell invasion and metastasis. This study was supported by National Cancer Institute (Grant Nos. 5T32CA009592-30, R01 CA218526).